Today, every business has to try really hard to capture the attention of the public and to ensure that their customers are not stolen away by other companies in the same industry. A company needs every advantage that it can get over its competitors and hence, more and more companies are looking towards Search Engine Optimization, ecommerce website development and design to increase their customer base. ORS Infotech has been providing a variety of highly sought after IT services such as web hosting, web designing, web developing, marketing through social media, PPC management, software development, computer hardware, corporate email solutions, domain booking, IT training and search engine optimization. We are based in Baroda (Vadodara), Gujarat and are one of the best ecommerce web development agency in India. Why eCommerce has Unlimited Scope? The world is going digital. Slowly, but surely, marketing, as we know it, is changing. eCommerce and Internet Marketing have emerged as a branch of marketing which is spreading like wildfire throughout the world. As the Internet really is one of the largest market places on Earth, almost every business is setting up a website and conducting at least a portion of its business via the Internet. With eCommerce, you can connect with customers all over the world and create global awareness of your company. Do you want to set up a fantastic website for your business? Here’s where ORS Infotech comes into the picture. We offer state-of-the-art eCommerce solutions. We have an extremely skilled team of software engineers and web designers who will work with you to create the website of your dreams – one that is eye-catching, informative, user-friendly and will definitely result in increased traffic to your website! Your website will be completely customized to meet your requirements and will be simple to operate for you and your staff. 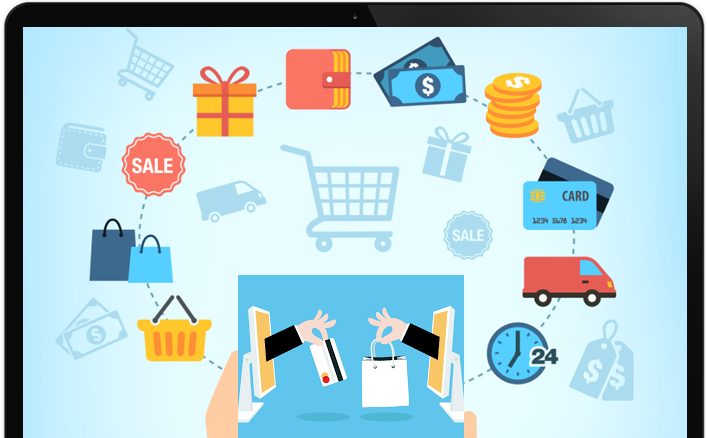 We use the latest ecommerce web development platforms that are scalable and can meet the needs of your business as it grows. Our platforms have many useful features that make it easy to keep track of your customers, orders, inventory, discounts, product categories and individual products. We offer competitive and transparent pricing. And, you can rest assured knowing there will be no hidden charges. Take the eCommerce industry by storm using the ecommerce website development services provided by ORS Infotech. Contact us today to get a quote.